Auto Expo is one of the biggest auto show of World and it is most popular auto show among the automobile experts, car lovers, bike lovers, etc. It is India’s biggest auto show held every two years. Auto expo is divided in two segments and both the shows of 2018 are scheduled to held at Different location. 14th Auto Expo components show will be held in Delhi Pragati Maidan from 8 Feb 2018 to 11 February 2018. Most of the people are waiting for 2018 Auto Expo motor show and we are covering the Auto Expo 2018. We are providing the information of Auto Expo 2018 Venue, Dates, Tickets, entry fee, timings, reaching option and information. 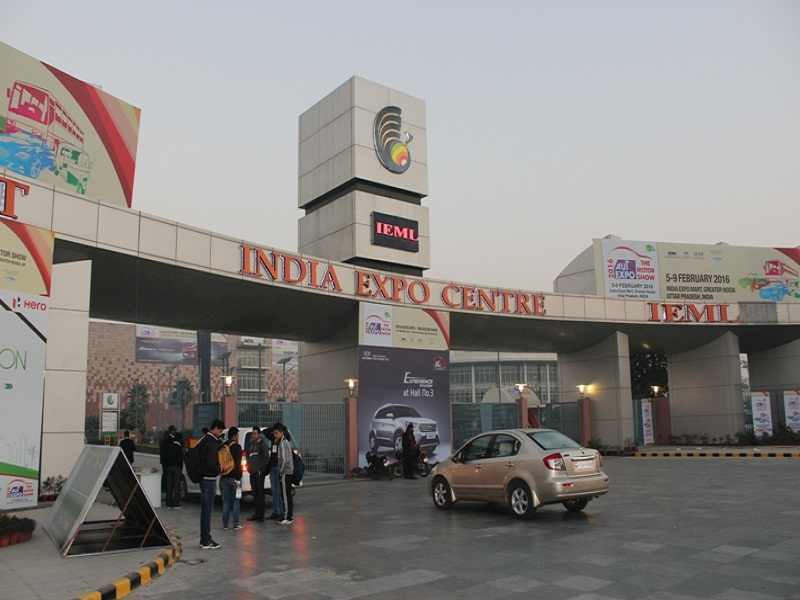 This year Auto expo is scheduled to held at India Exposition Mart Limited in Greater Noida Uttar Pradesh. Earlier this event was held at Pragati Maidan but due to space and traffic issue, it is organizing in Greater Noida from last few editions. Auto expo 2018 dates are 9 February 2018 to 14 February 2018. Timings of the auto expo fair are 10 AM to 5 PM and 7 PM depends on the day. Timings are mainly divided in two slots. 10 AM to 1 PM of 9, 12 and 13 February is reserved for Business visitors. Rest of the days and time slot is available for general visitors. Last entry is allowed one hour before the closing of exhibition. Complete time table of the auto expo fair is written below. Tickets are mandatory to get entry inside this mega event. Auto expo tickets can be booked online through bookmyshow. Children up to 5 years of age are eligible for free entry. Free home delivery of tickets are available on purchase of three or more tickets through bookmyshow. Auto expo tickets are also available at some metro stations of Delhi Metro. Name of stations are Rajiv Chowk, Okhla Bird Sanctuary, Kalkaji, Botanical Garden, Mandi House, Sikandarpur and Pragati Maidan. Business Tickets Price: Rs 350 to 475 depends on visiting day. Complete information of the tickets price is shared below. India Exposition Mart Limited, Plot No. 25, 27, 28, 29, Knowledge Park, Greater Noida, Uttar Pradesh. Venue is located in Greater Noida, Noida City Center, Botanical Garden Metro Station of Blue line and Okhla Bird Sanctuary metro station of newly built Magenta line are the nearest metro station. Metro connectivity is not good, both the metro stations are around 25 KM from here. Rest of the distance can be covered through the bus, can and auto rickshaw. Free shuttle bus service is available from Okhla bird sanctuary metro station to the visitors of Auto expo. Shuttle timings are 9 AM to 7 PM from Okhla bird sanctuary metro station and 11 AM to 7 PM (Auto Expo) from India Expo. Mart. Below is the map of the auto expo 2018. 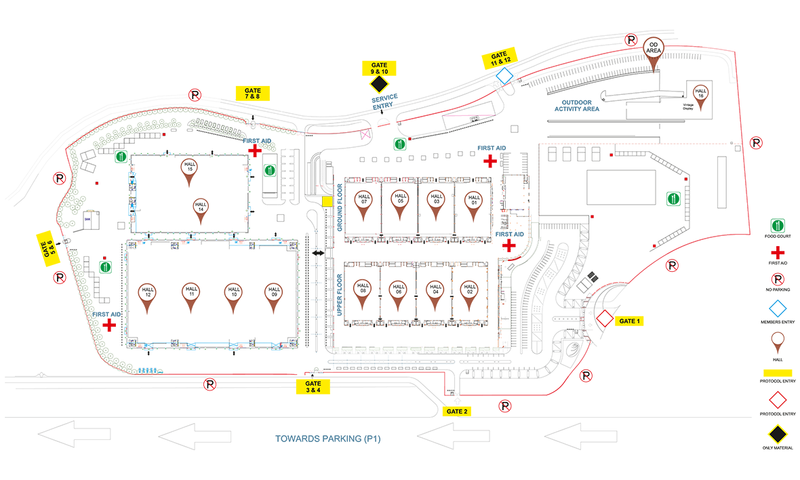 Map depicts all the entry gates, no parking area, food court, first aid area, etc. Drinking water, toilets, first aid facility, food courts etc are available here. Parking is available here for the visitors of the fair. The venue is spreads in large area, therefore whole day is required. Photography is allowed here. Visitors are advised to reach here early to avid the evening crowd. Large bags, home made food, etc are not allowed inside the venue. Lockers are available on first come first serve basis to deposit the items. Thousands of exhibitor and automobile manufacturers around the globe took part in the expo to display their vehicles. Many renowned national and international brands are ready to show their latest machines in this expo. We have arranged Auto Expo 2018 information from multiple sources for our visitors. I hope this will be helpful for those who are making a plan to visit this mega event.